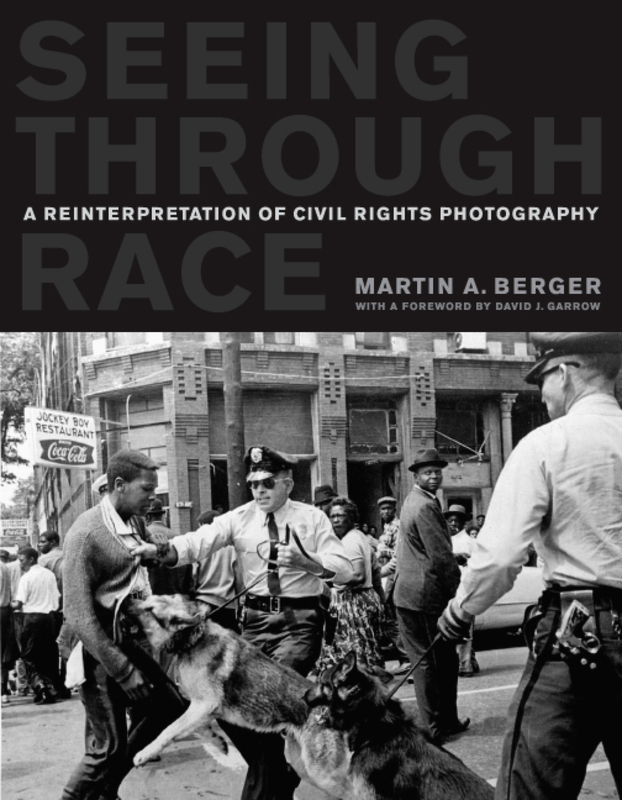 Martin Berger:"Seeing through Race: A Reinterpretation of Civil Rights Photography"
"Seeing through Race: A Reinterpretation of Civil Rights Photography" (Berkeley: University of California Press, 2011). Seeing through Race is a reinterpretation of the iconic photographs of the black civil rights struggle. Berger's provocative and groundbreaking study shows how the very pictures credited with arousing white sympathy, and thereby paving the way for civil rights legislation, actually limited the scope of racial reform in the 1960s. Berger analyzes many of these famous images--dogs and fire hoses turned against peaceful black marchers in Birmingham, tear gas and clubs wielded against voting-rights marchers in Selma--and argues that because white sympathy was dependent on photographs of powerless blacks, these unforgettable pictures undermined efforts to enact--or even imagine--reforms that threatened to upend the racial balance of power.